Now that Sesame Street has passed the forty year mark, it may seem a bit strange to revisit a twenty-year-old anniversary special chock full of facts and numerical data that has most likely been surpassed by this point several times over. 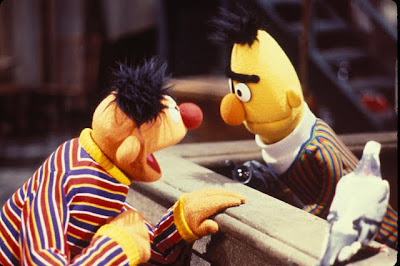 However, Baby Boomers and their Generation X offspring are sure to enjoy stopping off at Sesame Street circa 1989 for a forty-eight minute trip down memory lane, considering the familiarly nostalgic clips and faces encountered, both human and Muppet alike. 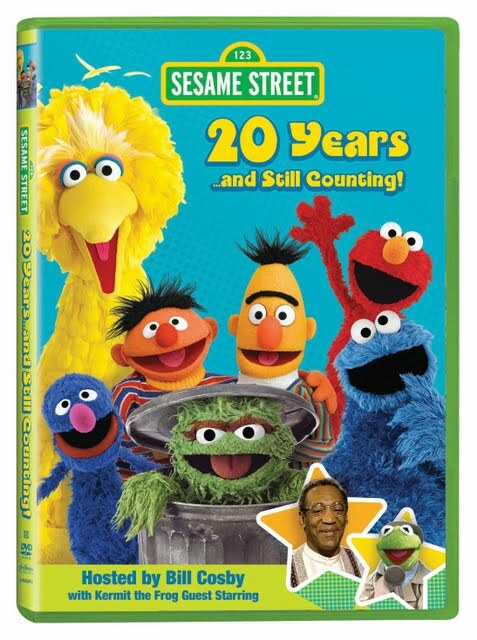 Introduced by Jim Henson, the TV special Sesame Street: 20 Years and Still Counting, which made its DVD debut courtesy of Lionsgate, is hosted by Bill Cosby and nearly co-hosted by a scene stealing Kermit the Frog. Although the genesis of the series began way back in 1968 when Henson and Joan Ganz Cooney took part in an experiment to see if television could be used to teach preschoolers, the show really hit its stride in the 1970s. As the first national children's series with a fully integrated cast that went beyond ethnicity to include children who were disabled, mentally challenged and more, the PBS favorite set out to teach over forty million Sesame graduates in 83 countries to respect each other's differences while learning how to read, count and have fun at the same time. 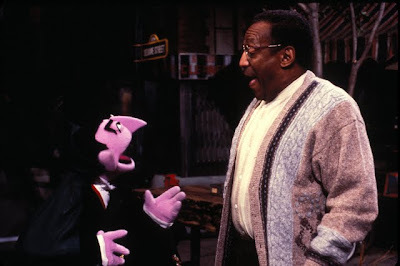 Designed to engage both children as well as their parents by writing to entertain both generations with timely spoofs including “Monsterpiece Theater,” “Miami Mice,” and “Squeal of Fortune,” as the actors, creators and Cosby explains, one of the key differences that set Sesame apart was the fact that it understood the power, appeal and impact of commercials on the very young. Yet instead of selling off time slots to showcase sponsor's toys, the series writers and illustrators made each commercial a learning experience, giving the number eight an entirely dedicated ad for example, which struck a chord with young attention spans and likewise managed to leave a lasting impression on viewers. Of course, more than just commercials, Sesame Street was nothing without its over thousand songs that captured our hearts, especially when they were performed by Henson's adorable Muppets including Big Bird, Grover, Elmo, Cookie Monster, Bert and Ernie, Oscar the Grouch and of course, Kermit the Frog. Featuring terrific musical numbers by Placido Domingo and Ray Charles along with an eye-opening segment that introduces us to the way the show is seen around the globe, there's a whole lot to admire about this succinct snapshot of one of America's true television treasures. Catching up with the former child stars of Sesame who were then in college or the military as well as incorporating candid interviews with some of the grown-up actors of the show as they discuss various plot-lines and their own experiences as part of the series, the admittedly dated yet nonetheless charming program is beyond inspiring to parents, educators and everyone in between who spent some time playing on Sesame Street.